To create your ladies wedding ring in our artisan studio, we use the most modern techniques, combined with ancient craftsmanship. The end result is this modern WH2148L25AM wedding ring, which is crafted to perfection by hand by our goldsmiths. A ring that fills us with pride. This platinum WH2148L25AM ladies wedding ring with flat profile has an ±5 mm width and has a shiny finish with black diamond. 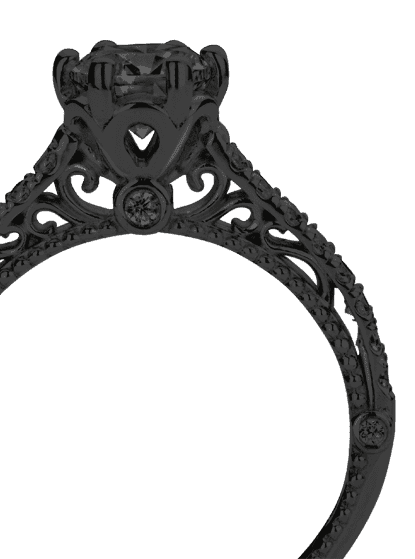 By the way, you can be inspired by this wedding ring and have it further adjusted to your taste. Do you prefer a smaller band or a wider one? Do you prefer a shiny ring or a matte one? Anything is possible. 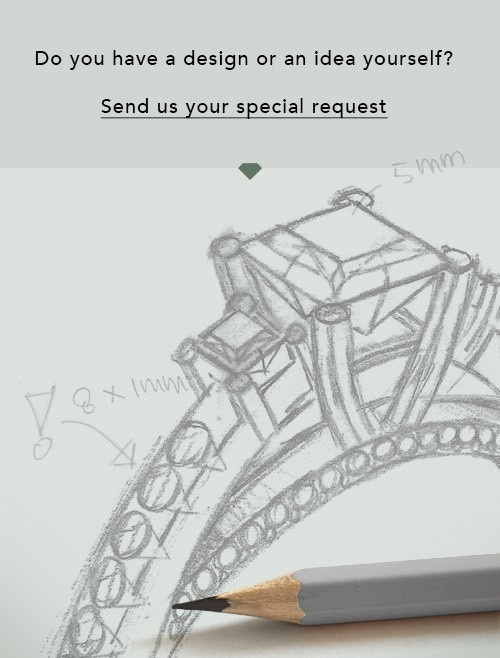 Also, if you have an idea of your own for extraordinary wedding rings, or if you have seen a beautiful set somewhere else that you really like and would like to have adjusted to your personal taste: no problem! don't hesitate to contact us. Our designers will gladly discuss your possibilities with you! Because we design and deliver our own wedding rings, we can offer you wedding rings at a price you won't find anywhere else. A ring is made to order, which helps prevent excess supplies, so we can make you a great price offer.